Analog and digital combined in one device! 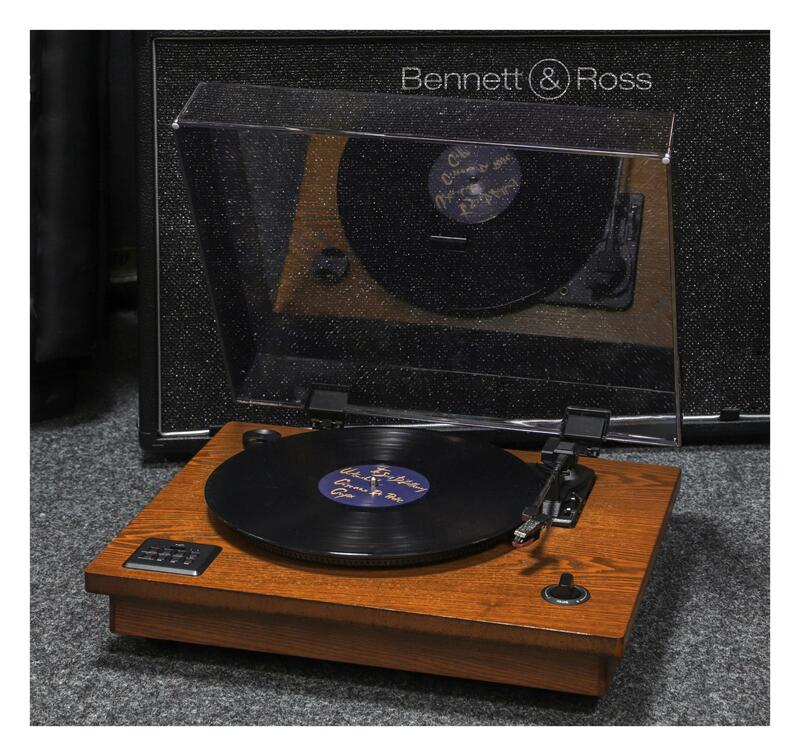 The best of both worlds - this is what the Vinylmaster from Bennett & Ross offers you. The record player offers uncompressed, analog hi-fi sound, while the USB port and the Bluetooth receiver take care of digital music enjoyment. Thanks to the built-in speaker, everything works without any additional stereo system! 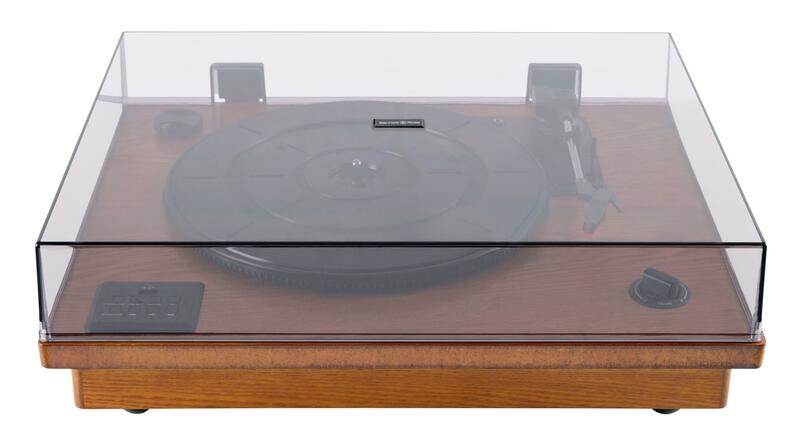 The spring-mounted turntable with belt drive rests on a sub-chassis made of wood. 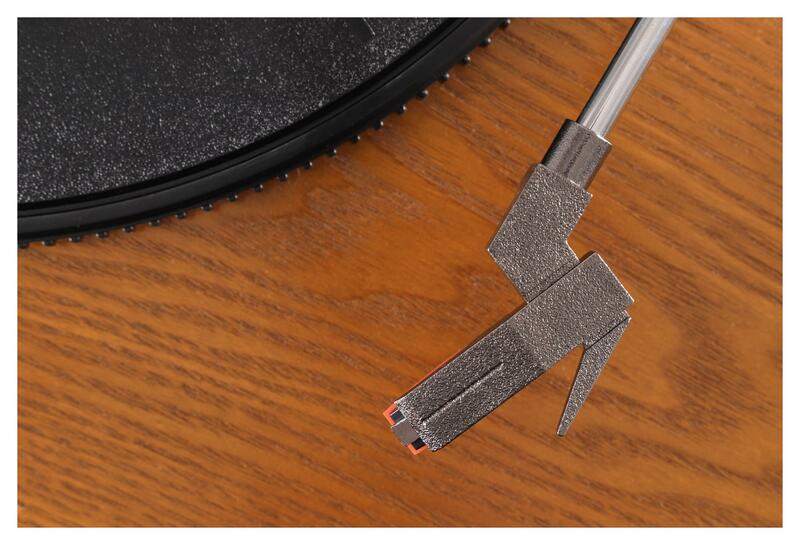 You can land right on the groove with the 19 cm long tone arm. 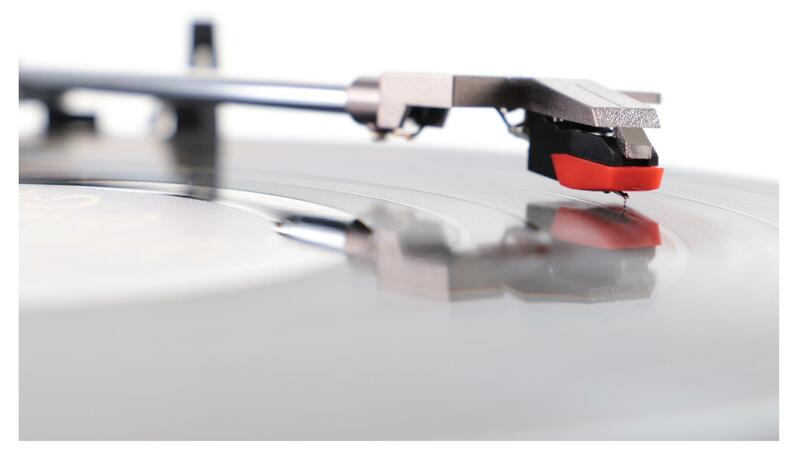 With the help of the level, you can gently lower the tone arm onto the LP and raise it back up again. 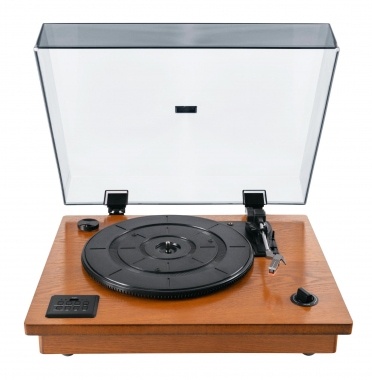 The Vinylmaster has all the usual playback speeds (33, 45 and 78 rpm). 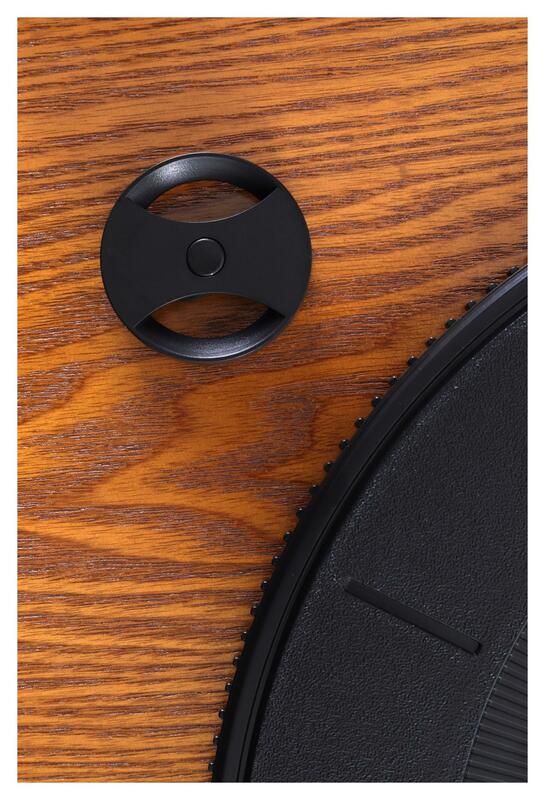 Of course, even single LPs are perfectly centered with the help of the 1.5" puck. A 3.5 mm stereo jack is attached to the back of the device for connecting a variety of players. Virtually any device with a headphone or line output can be connected to the player. As soon as a jack cable is plugged in, the other inputs are automatically deactivated. A Bluetooth receiver with a range of about 10 meters enables wireless playback of your favorite hits from your smartphone or tablet. 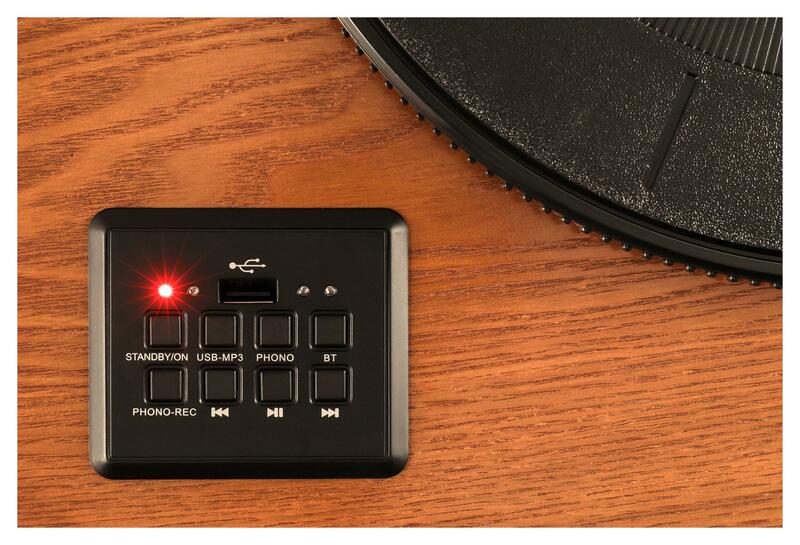 The USB port allows MP3 and WAV files to be played, and with just one press of a button, the player saves the played record as an MP3 file on your USB drive. Really practical: a woofer and two tweeters on the underside provide a powerful sound experience without an additional amplifier. Listen to your favorite music wherever you want! 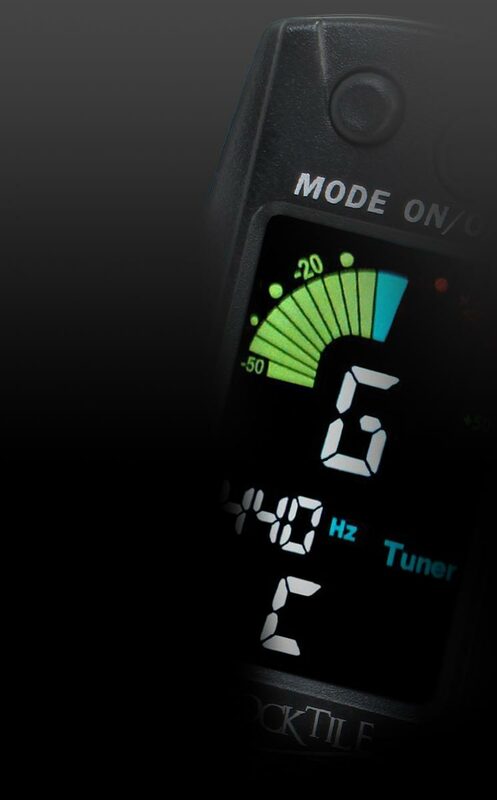 The line output on the rear allows connection to HiFi amplifiers and mixing consoles. Alles hat wunderbar funktioniert. Lieferung, Kundenservice und Produkt waren/sind sehr gut! Snel geleverd en goed verpakt. Platen speler is mooi en doet wat doe moet doen. Alleen 1 dag nadat ik deze besteld en betaald had werd hij €20 afgeprijsd. Hier over gemaild en het enige wat ik kon doen was de platenspeler terug sturen en opnieuw bestellen. Beetje jammer Kirstein. Consegna rapida, nei tempi dichiarati. aktive Boxen können direkt angeschlossen werden, bei Passiven wird ein Verstärker benötigt. wo kann man denn Ersatznadeln für diesen Plattenspieler ergattern? Die Nadeln können ca ab Juli über uns bezogen werden. Kann man über die Bluetooth Funktion auch über BT Kopfhörer hören oder nur von anderen Geräten auf den Plattenspielerboxen Musik abspielen? es können nur Wiedergabegeräte verbunden werden, keine BT-Boxen oder Kopfhörer.